We just love how people find a way to make urban areas in China greener, cleaner, and more sustainable. Okay, it will take a long time to transform Beijing into a more environmentally friendly city, but the seeds of an ecological future are being planted — especially in the minds of little ones. There are a couple of groups and organizations promoting environmentalism in the city, but the “Nurseries for Nurseries” (Jardin d’enfants) project might be the only initiative geared towards young Chinese children. 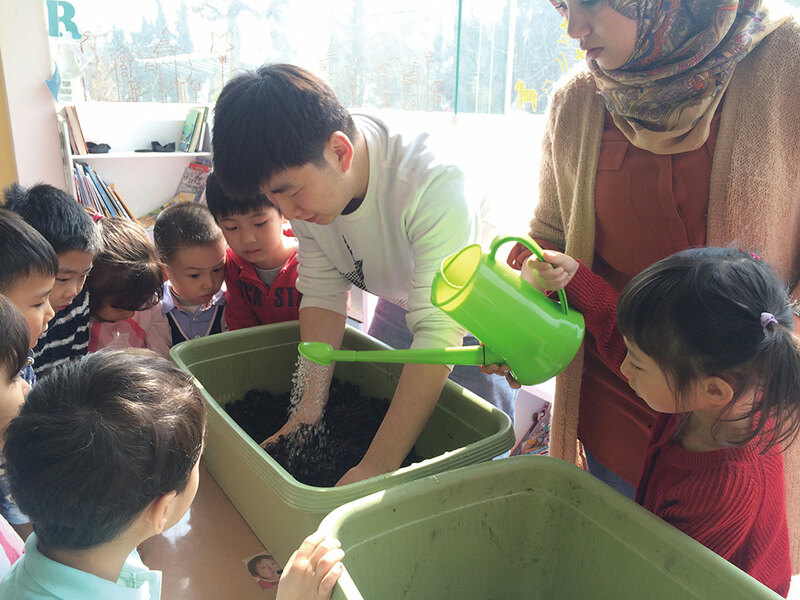 In our recent feature, project volunteer Tristan Macquet said Nurseries for Nurseries is a “bridge” that Beijing schools can use to maintain friendly relations, especially in environmental terms. Now in its third season, the project has expanded to include 72 local and international schools in China. And that means that the team needs more people to help propagate the project’s objective: to teach children how to grow from seeds and take care of a garden, thus increasing their awareness of nature, the environment, and the importance of healthy eating. Nurseries for Nurseries has just announced an internship opportunity. Students and young adults interested in joining the project can visit their official website or contact Macquet at tristan.macquet@gmail.com or WeChat at t06021988.